RESTRICTIONS ON USE OF MATERIALS. Unless otherwise noted, all materials, including, but not limited to, news articles, images, illustrations, designs, icons, photographs, video clips and audio clips that are part of the Web site (collectively, the "Content") are protected by copyright and owned, controlled or licensed by AllHigherEd ("AllHigherEd"), or the party credited as the provider of the Content. You shall abide by all additional copyright notices, information or restrictions contained in any Content accessed through the Web site. No Content from the Web site may be copied, reproduced, framed, hyperlinked, republished, downloaded, uploaded, posted, transmitted, or distributed in any way; however, you may download, where specifically permitted, one copy of the Content on any single computer for your personal, non-commercial use only, provided you keep intact all copyright and other proprietary notices. Copying or storing of any Content for other than personal use is expressly prohibited without prior permission from admin@AllHigherEd.com , or the copyright holder identified in the copyright notice contained in the Content. If you wish to build a hyperlink to the Web site, you may do so provided you agree to cease such link upon request from AllHigherEd. No other use is permitted without prior written permission of AllHigherEd. Modification of the Content or use of the Content for any other purpose is a violation of the AllHigherEd copyright and other proprietary rights. For purposes of these terms, the use of any Content on any other web site or networked computer environment is prohibited. All trademarks, service marks and trade names are proprietary to AllHigherEd. USAGE BY CHILDREN UNDER 13. The Web site is directed to adults and is not directed to children under the age of 13. AllHigherEd cannot prohibit minors from visiting the Web site. AllHigherEd must rely on parents, guardians and those responsible for supervising children under 13 to decide which materials are appropriate for such children to view and/or purchase. AllHigherEd complies with the Children's Online Privacy Protection Act and does not permit registration by and will not knowingly collect personally identifiable information from anyone under 13. This requirement will be posted wherever AllHigherEd collects data within the Web site, such as during the registration process. MEMBER ACCOUNT. 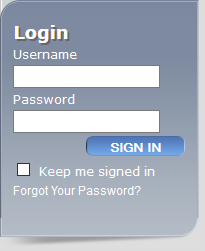 If you register as a user of this Web site, you will be assigned a username and password that is unique to you. You are responsible for maintaining the confidentiality of the username and password, and responsible for all activities that occur under your username and password. You agree to notify AllHigherEd of any unauthorized use of your username and password or any other breach of security at admin@AllHigherEd.com. FEES AND PAYMENTS. Certain features of AllHigherEd.com are available only through the purchase of a subscription. You agree to pay, using a valid credit card which AllHigherEd.com accepts, the monthly or annual subscription charges set forth on the Site, applicable taxes, and other charges incurred on your account in order to access Fee-Based Services. AllHigherEd.com reserves the right to change the fees or applicable charges and to institute new charges at any time, upon thirty (30) days prior notice to you (which may be sent by email). For individual subscriptions initiated on or after June 1, 2009, AllHigherEd.com will automatically charge your account for the renewal of your subscription. The renewal charge will be the current published rates for the term of your subscription. In the event AllHigherEd.com cannot charge your account, we reserve the right to terminate your access to the Fee-Based Services. In the event you cancel the service, AllHigherEd.com will not refund any fees already paid by you. If you believe AllHigherEd.com has billed you incorrectly, you must contact AllHigherEd.com no later than 60 days after the closing date on the first billing statement in which the error or problem appeared, in order to receive an adjustment or credit. Inquiries and cancellation requests should be directed to AllHigherEd.com's Customer Support department (admin@AllHigherEd.com) or by phone at 404-915-7300. E-MAIL AND PUBLIC COMMUNICATION. "Forum" means letters, e-mails or other types of communications to the editors, Webmaster(s) or employees of AllHigherEd, and messages posted in connection with online seminar discussions on the Web site. You shall not upload to, distribute through, or otherwise publish through a Forum on the Web site any content which is libelous, defamatory, obscene, pornographic, threatening, invasive of privacy or publicity rights, abusive, illegal, or otherwise objectionable that would constitute or encourage a criminal offense , violate the rights of any party, or that would otherwise give rise to liability or violate any law. INDEMNIFICATION . You agree to indemnify, defend and hold AllHigherEd harmless from any liability, loss, claim and expense, including reasonable attorneys fees, related to your violation or alleged violation of this Agreement or use of the Web site. JURISDICTION. Unless otherwise specified, the Content on the Web site is presented solely for the purpose of promoting publications and other products available in the United States, its territories, possessions, and protectorates. The Web site is controlled and operated by AllHigherEd from its offices within the States of Georgia and California . AllHigherEd makes no representation that Content on the Web site is appropriate or available for use in other locations. Those who choose to access the Web site from other locations do so on their own initiative and are responsible for establishing the usability or correctness of any information or Content under any or all jurisdictions and the compliance of that information or Content with local laws, if and to the extent local laws are applicable. All users, including those users who access the Web site from a country other than the U.S., agree that the laws of the State of Georgia shall govern any dispute, including those arising from AllHigherEd' use of personal information or otherwise relating to privacy, as specified in the Your Privacy statement. TERMINATION. These terms are effective until terminated by either party. You may terminate these terms at any time by destroying all Content obtained from any and all Web site(s) and all related documentation and all copies and installations thereof, whether made under these terms or otherwise. The privileges granted to you by these terms, including the maintenance of a member account, will terminate immediately without notice from AllHigherEd if, in the sole discretion of AllHigherEd, you fail to comply with any provision of these terms. Upon termination, you must destroy all Content obtained from the Web site and all copies thereof, whether made under these terms or otherwise. AllHigherEd may take such further action as AllHigherEd determines to be appropriate under the circumstances to eliminate or preclude repeat violations, and AllHigherEd shall not be liable for any damages of any nature suffered by any customer, user, or any third party resulting in whole or in part from AllHigherEd exercising its rights under these terms and conditions. DISCLAIMER. THE CONTENT IN THE WEB SITE IS PROVIDED "AS IS" AND WITHOUT WARRANTIES OF ANY KIND EITHER EXPRESS OR IMPLIED. TO THE FULLEST EXTENT PERMISSIBLE PURSUANT TO APPLICABLE LAW, AllHigherEd DISCLAIMS ALL WARRANTIES, EXPRESS OR IMPLIED, INCLUDING, BUT NOT LIMITED TO, IMPLIED WARRANTIES OF MERCHANTABILITY AND FITNESS FOR A PARTICULAR PURPOSE. AllHigherEd DOES NO T WARRANT THAT THE FUNCTIONS CONTAINED IN THE CONTENT WILL BE UNINTERRUPTED OR ERROR-FREE, THAT DEFECTS WILL BE CORRECTED, OR THAT THE WEB SITE OR THE SERVER(S) THAT MAKES THE WEB SITE AVAILABLE ARE FREE OF VIRUSES OR OTHER HARMFUL COMPONENTS. AllHigherEd DOES NOT WARRANT OR MAKE ANY REPRESENTATIONS REGARDING THE USE OR THE RESULTS OF THE USE OF THE CONTENT ON THE WEB SITE IN TERMS OF ITS CORRECTNESS, ACCURACY, RELIABILITY, OR OTHERWISE. YOU (AND NOT AllHigherEd) ASSUME THE ENTIRE COST OF ALL NECESSARY SERVICING, REPAIR, OR CORRECTION. APPLICABLE LAW MAY NOT ALLOW THE EXCLUSION OF IMPLIED WARRANTIES, SO THE ABOVE EXCLUSION MAY NOT APPLY TO YOU. LIMITATION OF LIABILITY . UNDER NO CIRCUMSTANCES, INCLUDING, BUT NOT LIMITED TO, NEGLIGENCE, SHALL AllHigherEd BE LIABLE FOR ANY SPECIAL OR CONSEQUENTIAL DAMAGES THAT RESULT FROM THE USE OF, OR THE INABILITY TO USE, THE CONTENT ON THE WEB SITE, EVEN IF AllHigherEd OR AN AllHigherEd AUTHORIZED REPRESENTATIVE HAS BEEN ADVISED OF THE POSSIBILITY OF SUCH DAMAGES. APPLICABLE LAW MAY NOT ALLOW THE LIMITATION OR EXCLUSION OF LIABILITY OR INCIDENTAL OR CONSEQUENTIAL DAMAGES, SO THE ABOVE LIMITATION OR EXCLUSION MAY NOT APPLY TO YOU. IN NO EVENT SHALL AllHigherEd'S TOTAL LIABILITY TO YOU FOR ALL DAMAGES, LOSSES, AND CAUSES OF ACTION (WHETHER IN CONTRACT, TORT (INCLUDING, BUT NOT LIMITED TO, NEGLIGENCE), OR OTHERWISE) EXCEED THE AMOUNT PAID BY YOU, IF ANY, FOR ACCESSING THE WEB SITE. NOT LEGAL ADVICE. The Content contained on the Web site has been p repared by AllHigherEd as a service to its readers and the Internet community and is not intended to constitute legal advice. AllHigherEd has used reasonable efforts in collecting, preparing and providing quality information and material, but does not warrant or guarantee the accuracy, completeness, adequacy or currency of the information contained on or linked to the Web site. Users of information from the Web site or links do so at their own risk. OTHER PRODUCTS. Any reference made by the Web site to any specific commercial product, process, or service (or provider of such product, process or service) by trade name , trademark, hyperlink, or otherwise, does not constitute or imply an endorsement, recommendation, or favoring by AllHigherEd. Content on the Web site may be provided by third parties and users. Any opinions, advice, statements, services, offers or other information expressed or made available by third parties, including information providers, users or others, are those of the respective author(s) or distributor(s) and do not necessarily state or reflect those of AllHigherEd. LINKS TO OTHER WEB SITES AND SERVICES. To the extent that the Web site contains links to outside services and resources, AllHigherEd does not control the availability and content of those outside services and resources. Any concerns regarding any such service or resource, or any link thereto, should be directed to the particular service or resource. OTHER. These terms shall be governed by and construed in accordance with the laws of the State of Georgia. You agree that any action at law or in equity arising out of or relating to these terms shall be filed only in the state or federal courts located in Georgia and you hereby consent and submit to the personal jurisdiction of such courts for the purposes of litigating any such action. If any provision of these terms shall be unlawful, void, or for any reason unenforceable, then that provision shall be deemed severable from these terms and shall not affect the validity and enforceability of any remaining provisions. You agree that regardless of any law or statute to the contrary, any claim or cause of action arising out of or relating to the Web site and these Terms of Service must be filed within one (1) year of the date the cause of action arose, or be barred as untimely. This is the entire agreement between us relating to the subject matter herein and shall not be modified except as provided herein or in writing, signed by AllHigherEd. To the extent that anything in or associated with the Web site is in conflict or inconsistent with this Agreement, this Agreement shall take precedence. Failure of AllHigherEd to enforce any provision of this Agreement shall not be deemed a waiver of such provision nor of the right to enforce such provision.